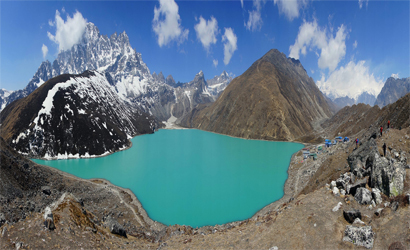 Lobuche (or Lobuje) is a small settlement near Mount Everest in the Khumbu region of Nepal. 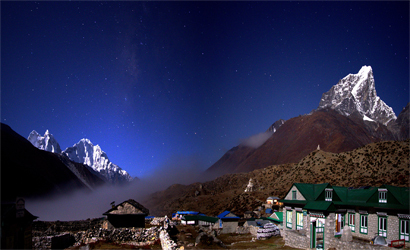 Lobuche lies near the foot of the Khumbu Glacier, South west of Everest Base Camp. 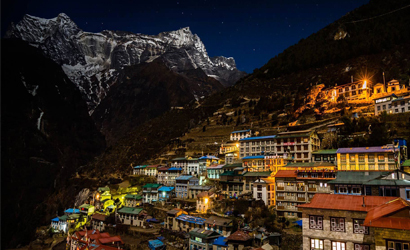 It is one of the last overnight stops with lodging on the "trail to base camp", a hike that climbers make on their way to Everest Base Camp (South) when attempting an ascent of Everest via the standard southeast route. It is also a popular stop among trekkers in the area. 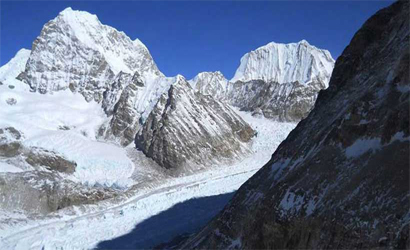 From Lobuche they can complete the trail on to EBC or stop at Gorak Shep, the last stop with lodging on the trail, and climb the modest nearby peak, Kala Patthar for a rare view of the Everest summit. See more. It shares its name with several peaks in the area: Lobuche Far East, Lobuche East and Lobuche West (a separate mountain further west). Labuche Kang (sometimes spelled Lobuche Kang). 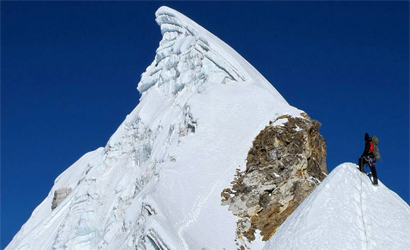 The peak of Lobuche East is reached by descending a marked notch and climbing steep snowy slopes to the top. 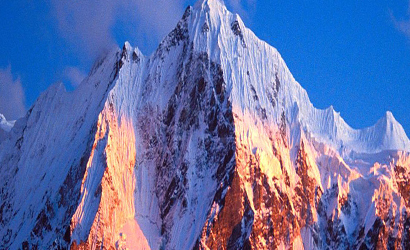 On most occasions, the mountain is climbed on the summit ridge only as far as a subsidiary snow summit, south-east of the true peak and before the notch. This peak is identified as the false peak. Laurence Nielson and Ang Gyalzen Sherpa made the first ascent to Lobuche East on 25 April 1984 although there are possibilities that others have reached the summit before. But no records are available. Our Peak climbing starts from Kathmandu with a short but beautiful mountain flight to Lukla. Our trekking starts from Lukla all the way to Namche Bazaar for acclimatization and ascend to the peak. 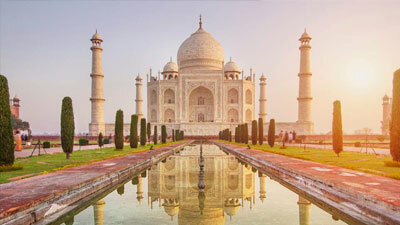 Our following rest days will be in the High Camp and get rest and enjoy the success during climb to summit the peak and also enjoy the view of the panoramic beauty of Himalayas. We head our trail towards the target point of this journey. We summit the Island Peak and descend back to Lukla. We fly back to Kathmandu and end our journey. A thrilling scenic flight to Lukla and a landing on a steep mountain runway brings us to the start of our trek at the village of Lukla (2850m). After meeting the supporting crew, we head up the Dudh Koshi Valley on a well-marked trail and then stay overnight in Phakding. Trekking downhill and pass through lush forests filled with birch, conifers and rhododendron trees our trek continous with views of Mt. Everest, Lhotse and Ama Dablam to keep us company. 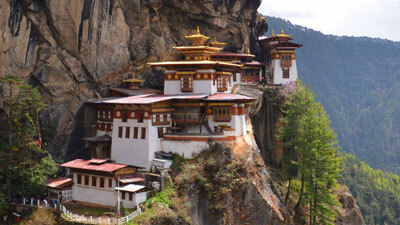 The picturesque trail dips down to Debuche, crosses the Imja River and takes us to Pangboche. 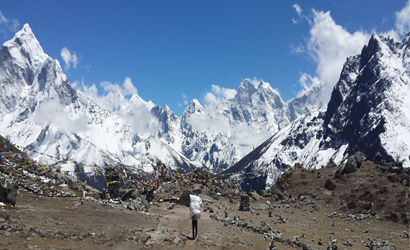 We move ahead towards the Imja Valley, Lobuche River and ultimately climb up to Dingboche. The village is a beautiful windy settlement overlooked by chortens and prayer flags. This village is beautiful with an array of fields enclosed by stone walls to protect barley, buckwheat and potatoes from the cold wind and grazing animals Dingboche is a popular stop for trekkers and climbers headed to Mt. Everest, Ama Dablam or Island Peak (Imja Tse). We spend a day at Dingboche for acclimatization. 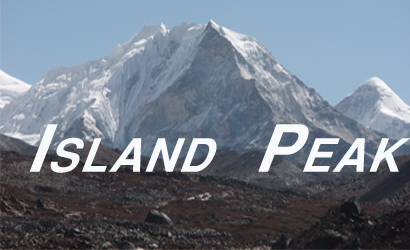 We take a day hike to Nagarjun Hill for great views of Makalu, Lhotse, Chalotse, Tawache, Ama Dablam and others. We continue up the wide valley beneath the impressive peaks of Cholatse and Tawache on the left. We then turn right and take a steep climb towards the foot of the Khumbu Glacier. The tea house at Duglha is a good spot for rest and the trail wind up through the boulders of the glacier's terminal moraine. At the top of this climb there are many stone cairns, a pile of stones set on a hill or mountain to mark a spot for walkers and climbers, or as a memorial to somebody who died there climbing Mt Everest. The path then climbs gently along the glacier, to eventually reach the cluster of houses at Lobuche. We start early morning with a target to reach before sunrise; we climb Kalapatthar at (5545m.) and enjoy a spectacular sunrise view. 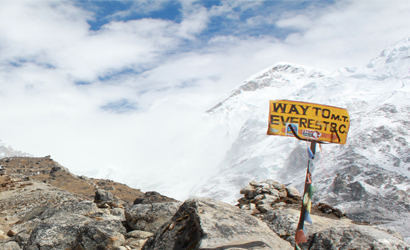 From Kala Patthar you can have a panoramic view of Mt. 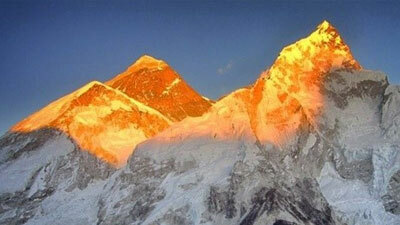 Everest and many other mountain peaks that include a host of famous ones: Mt. Pumori, Mt. Lingtren, Mt. Khumbetse, Mt. Nuptse, and Mt. Lhotse, Mt. Ama Dablam, Mt. Thamserku and many more huge peaks. Yaks are normally regarded as porters in this area due to its tough terrain which would be difficult for human porters. We enjoy the stunning Himalayas and descend to Lobuche where we stay the night. Today, we begin our trek from Lobuche towards Lobuche High Camp. 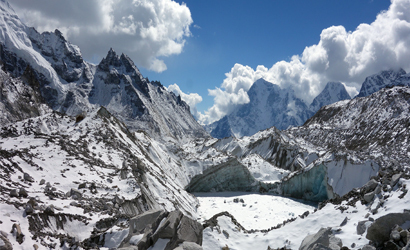 The path to the Lobuche Base Camp gets steeper and rocky along the Lobuche Glacier with great views of Ama Dablam, Cholatse, Pokalde, Thamserku, Kantega, etc. From Base Camp, we continue on a rocky moraine path to reach the high camp. Upon reaching the high camp, we set up our camp and rest. Starting very early before the break of dawn for the summit bid, our route leads with a steep climb; where our guides have fixed ropes earlier on necessary sections, after a hard strenuous climb without any technical difficulty reaching to the top summit of Lobuche east peak. Once upon the Lobuche summit, you would enjoy magnificently panoramic views of Everest, Lhotse, Nuptse, Ama Dablam, Cholatse, Pumori, and many more including series of other snow capped peaks. We spend some time at the summit celebrating and taking pictures, then we get back to the Base Camp again. We have reserved an extra day which will be as contingency day, in case of unfavorable weather conditions some times in this high Himalayan range, the weather can be unpredictable, so an extra day on this type of adventure is very necessary, if all goes well can be used on the way back to Lukla with short day walk enjoying the great scenery along the way. After taking our breakfast, we trek downhill from Lobuche Base Camp and join the Everest Base Camp route at Lobuche again. We take our lunch at Lobuche. From Lobuche we again retrace our path to Pheriche. On the way to Pheriche, enjoy the magnificent views of Mt. Ama Dablam in the distance. The town of Pheriche is also known as a highly windy town. 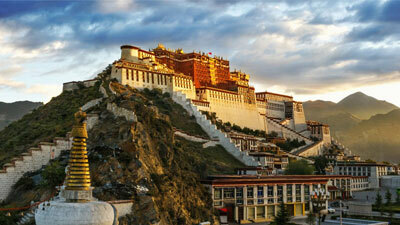 Hereabouts, you can see the perpendicular walls of Cholatse and Tawache. 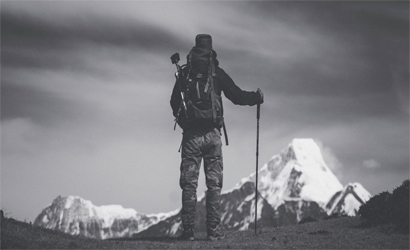 The Himalayan Rescue Association Aid Post is also located here and foreign volunteer doctors provide medical treatment to trekkers as well as local people in this area. We retrace our steps with a Trek back to Namche from Pheriche and do an overnight at the bustling & hustling village town of Namche. The trail has become more level and natural we begin our trek with a descent We walk through Sherpa villages noticing their impressive faith in Buddhism and the culture of prayer stones and prayer flags. Our trek, we cross several bridges over the fast flowing Dudh Koshi River and its tributaries, open plains, through rhododendron and pine forests and enjoy distant views of the snow covered peaks. Our long trek to the mountain and its high passes ends today.